Originally founded in 1929, Teesside University has a proud history of over 85 years of excellence in education. Now the institution has a bold new vision, Teesside 2020, which was launched by Vice-Chancellor, Professor Paul Croney. Teesside 2020 will raise the aspiration and ambition of Teesside to be an international university at the heart of the North East England with a reputation for academic excellence. Teesside University delivers an outstanding student and learning experience underpinned by research, enterprise and the professions. Staff are internationally diverse, representing almost 40 different nationalities. Innovation, authenticity and enterprise are embedded within course content and our students and graduates benefit from placements, projects and internships to develop workplace skills. 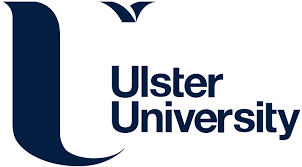 The University is highly regarded for its specialist courses in areas such as digital media, animation and computer games design; criminology, policing, forensics, crime scene science; health and social care; engineering; and leadership & management. It is a top 25 university for teaching quality (Sunday Times Good University Guide 2017). In recent years, Teesside University has invested £270m on its campus to provide one of the best study environments in the UK. It includes the award-winning and innovative £22m teaching and learning building, The Curve as well as a new Campus Heart with living wall to provide a flexible and welcoming outdoor space. There has been considerable investment in STEM facilities and sports facilities and a £6m investment has also been made to create an innovative, state of the art and flexible Library at the centre of campus. In 2016–17, the University was ranked in the top 10% of universities in the world by Times Higher Education. International students ranked Teesside number one in the UK for overall average satisfaction in the International Student Barometer Survey, 2016. The National Student Survey 2016 showed 87% of students were satisfied with their course – above the national average of 86%. Research and innovation at Teesside focuses on five grand societal challenge themes which make a real and practical difference to the lives of people and the success of business and economies. The five areas address – health and wellbeing; resilient and secure societies; digital and creative economy; sustainable environments; and learning for the 21st century. Teesside University is one of the UK’s leading employer-facing universities that provides services for industry, business and the professions, which inform student learning and research to support innovation and economic growth. Through our on-campus business support, our graduates have launched over 300 new businesses, creating more than 600 jobs. Teesside University staff joined forces with students from sports-related courses to compete in this year's Stockton Duathlon Festival.